Tavares sees car-sharing as a first step in PSA's return to U.S. market. PARIS -- PSA Group plans to launch car-sharing services in Los Angeles in partnership with Bollore Group, as the maker of Peugeot, Citroen and DS cars diversifies into mobility services. 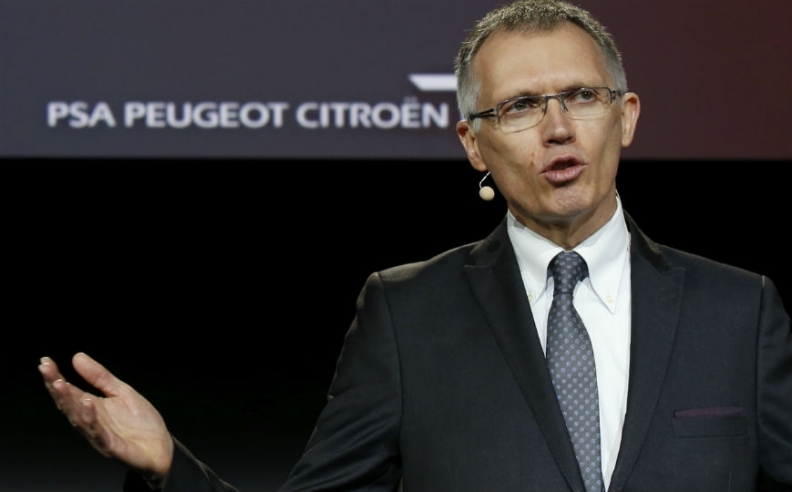 "We are working with a good number of cities, including LA, to offer car-sharing solutions with Bollore Group," PSA CEO Carlos Tavares said. Rattled by Uber's success, automakers from General Motors to Daimler are rolling out their own ride-sharing services - while sometimes struggling to explain how they could supplant their traditional manufacturing business if consumers were to abandon ownership in droves. Paris-based PSA is investing in start-ups and expanding in areas from vehicle leasing to parts distribution as it pursues a recovery plan in the wake of a brush with bankruptcy that led to Tavares's 2014 appointment. The following year, PSA announced a partnership with Bollore, which already supplies electric car-sharing services in Paris and other cities and had previously flagged Los Angeles as a potential location. Tavares said PSA aimed to generate 300 million euros ($337 million) in revenue from its new mobility services division by 2021, a goal he acknowledged was challenging yet "absolutely marginal" for a car manufacturer with more than 50 billion euros in annual sales. He was speaking Monday at a seminar organized French by business daily Les Echos. He said PSA had "other discussions in progress." In April Tavares told financial analysts that PSA planned to test the automaker's potential return to the U.S. market with car-sharing and mobility services before possibly expanding to retail sales. PSA's Peugeot brand pulled out of the U.S. in 1991. PSA plans to launch a standalone vehicle service to rival Uber within the next three years, the Financial Times reported, citing Tavares. The service may operate under a new brand rather than the Peugeot, Citroen or DS marques currently used by the group, the paper said. "We would like to envisage that, under a brand name that I don’t even know yet, we will become your life-long mobility partner. "It doesn’t have to be an automotive brand," the paper quoted Tavares as saying. Tavares is pushing PSA to invest in new mobility solutions as part of his Push to Pass strategic plan. The automaker announced in June that it was investing in the start-up company TravelerCar that has a peer-to-peer rental system for car owners.